Ben Affleck & Jennifer Garner Finally Sell Their Pacific Palisades Family Home to Adam Levine, Post-Divorce! 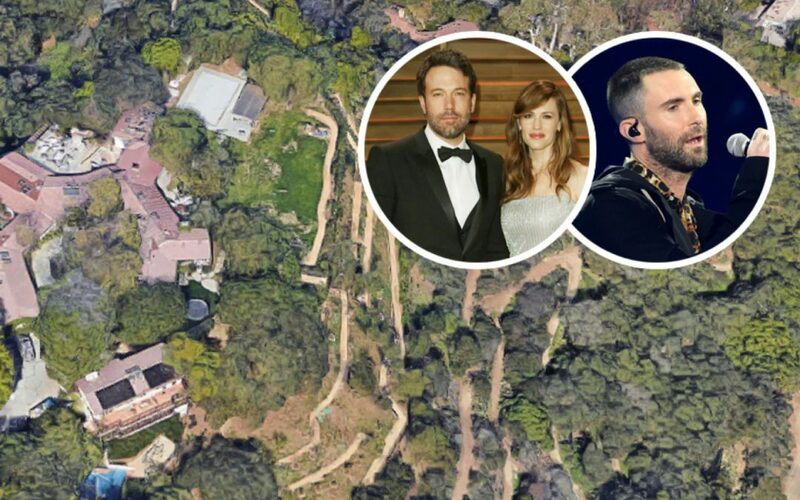 Ex-celebrity couple Ben Affleck and Jennifer Garner have sold their Pacific Palisades family home to Maroon 5 frontman and “Voice” judge, Adam Levine. And, it appears that Levine really does have “Moves like Jagger” because he just landed quite the deal: the 8,800-square-foot, five-bedroom, eight-bathroom, ranch-style abode sitting on more than 3 acres of land was listed for $45 million, but Levine got it for $32 million! While divorces are disappointing news for a lot of people, they’re good business for deep-pocketed buyers, like Levine. For most marriages, the biggest shared asset between the couple is their family home and often the couple would like to sell the property as quickly as possible during a divorce. The International Association of Real Estate Professionals (IARP) explains that whether it’s the marital home or it’s a joint investment property, as a Real Estate Agent you will come across selling a property for couples going through a divorce. During the process of listing the properties, it may almost seem like you are managing two deals at once. If the sellers are not together and are making decisions separately, you may even be facing conflicting decisions about which offer to take or how to price the home. IARP would like to offer some insights on how to remain professional, unbiased and detached in order to sell the house at the best possible price. First, you want to check the title on the house. If the home is owned as community property that means that both halves of the couple have an equal interest in the property. If it’s community property, hopefully, it’s an amicable divorce and the two parties are still civil and want a clean, quick, and simple break. However, you might have to deal with less drama-free couples, in which case, having attorneys negotiate or hiring a mediator may be the best way to determine an appropriate distribution of the cash from the sale. Next, if you’re dealing with both parties, remember that you should NEVER take sides. You are a professional real estate agent, you are not there to mediate their divorce. Stay neutral and try not to participate in any of the drama. Remember your job is to get their house sold! Finally, always keep it neutral with your divorcing clients. They are both equals on the title, so you should treat both equally — the issues that led to the divorce are none of your business and not relevant to the sale of the home. Another key component of that is to always keep both sides equally informed. If you have to communicate with both of them separately, make sure that you’re telling each of them the same data as the other.